We're hearing the term everywhere, but what does it really mean? And how is it going to revolutionise business? Everybody is sure that cloud computing is key to the future of IT, but people often seem unsure quite what it is. 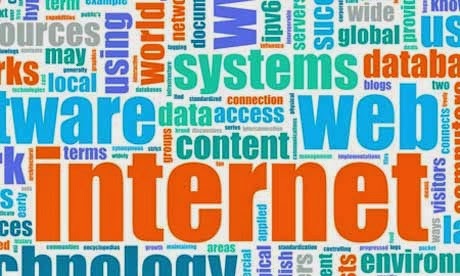 In fact, it's an umbrella term for a number of different trends, all involving the internet and its potential to simplify the way we use computers and extend their capabilities. The "cloud" is the internet, and the term is fitting – it's large, out there somewhere, and fuzzy at the edges. Cloud computing is about putting more of your material out there and less on PCs or servers that a business runs for itself. You can do this in many ways, but with every vendor claiming to do cloud computing in some form it has become confusing. It is worth understanding terms such as SaaS (software-as-a- service) and PaaS (platform-as a-service) so as to evaluate vendor claims. There are radical differences between the various forms of cloud computing, and they do not all offer the same benefits. Below and in the accompanying glossary we attempt to answer common questions and explain baffling terms about this new area of computing. 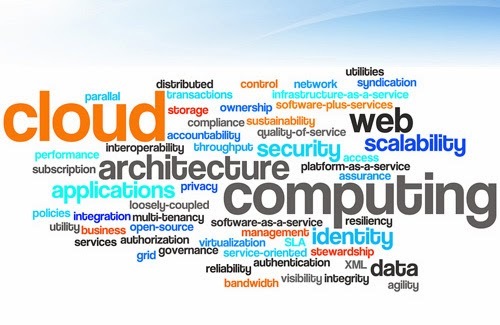 Q: What's the point of cloud computing? Reasons vary, but often include the desire to outsource the maintenance burden of servers and applications; the need to scale systems up or down on demand; the benefit of being able to access your data from anywhere with an internet connection; and the ability to replace occasional heavy expenditure on IT with regular and predictable operational expenditure. Q: What is utility computing? The idea that businesses should not be spending effort and money on installing and maintaining complex hardware and applications, when a specialist can supply those same services on a pay-as- you-go basis. Businesses do not generally generate their own power – utilities are bought when needed. In the same way, the argument runs, essential IT services can be managed better externally. Q: What is software-as-a-service (SaaS)? Pre-baked services that you access simply by navigating there in a web browser. Google Mail and Google Docs are examples of this kind of cloud computing. Q: What is platform-as-a-service (PaaS)? A set of lower-level services such as an operating system or computer language interpreter or web server offered by a cloud provider, on which developers can build custom applications. Microsoft Windows Azure and Google App Engine are examples of PaaS. Q: What is infrastructure-as-a-service (IaaS)? Provision of servers or virtual servers that organisations use on a pay-as- you-go basis. Amazon's Elastic Compute Cloud (EC2) is an example of IaaS. In practice, cloud suppliers often provide additional services alongside IaaS offerings, so the boundary between IaaS and PaaS is ill-defined. Q: What is a rich internet application (RIA)? Modern web browsers have fast script engines and rich graphics and plug-ins, such as Adobe Flash, to extend their capabilities. A rich internet application has applications running in the browser that have rich graphics and the kind of sophisticated user interface that at one time would only have been possible in a locally installed desktop application. The term was made popular by Adobe for applications using its Flash plug-in, but it is also sometimes used to describe advanced HTML applications. Cloud-hosted applications where multiple customers share a single application, even though they only have access to their own data. Salesforce.com is an example. Multi- tenancy is the most cost-effective form of cloud computing, since the software itself is shared. Q: What is the difference between public, private and hybrid clouds? Some organisations, especially larger ones, want the benefits of cloud computing but without the risks inherent in trusting their data to a third party. They can achieve this by creating a cloud-like infrastructure in their own data centre. This is called a private cloud. The public cloud refers to providers such as Amazon, Google and salesforce.com, whose shared services are available to all. A hybrid approach uses both public and private services. Emulating computer hardware in software, so that one or more emulated computers can run simultaneously on a single physical computer. This is a boon for cloud computing: service providers can use hardware efficiently by running many virtual servers on each machine in a data centre. Sometimes virtual machines can be moved between company premises and cloud providers. Q: Is cloud computing green? Cloud computing goes some way towards solving a problem called under- utilisation, where servers run constantly with little computing load, wasting money and power. Service providers use virtualisation and other techniques to make full use of their hardware. The downside is that these datacentres are power-hungry, and we are using more of them as demand grows. The hope is that a new generation of more efficient super computers will make cloud computing a truly green option. Q: What is Amazon's cloud computing platform like? At first glance it seems odd that an online retailer has become a major cloud computing provider. The rationale is that Amazon took techniques for massive scaling learned from its e-commerce experience and applied them to a service offered to others at commodity prices. Services include the Elastic Compute Cloud (EC2) for virtual servers running Linux or Windows, and the Simple Storage Service (S3) for storing files in the cloud. Other services include database and payment services. It is a developer platform, not one with applications ready to run. Q: What is Google's cloud computing platform like? It includes email; online documents – spreadsheet, word processor, and presentation graphics – stored on the cloud and edited in the browser; mapping services; payments; and a platform for custom applications written in one of two programming languages: Python or Java. Q: What is Microsoft's cloud computing platform like? Microsoft makes most of its money from traditional desktop software, Windows and Office. Nevertheless, it has developed its own cloud platform, including free consumer services such as email, blogging and online file storage under the Windows Live brand. The platform also includes hosted versions of its business servers such as Exchange for email and SharePoint for collaboration under the BPOS (Business Productivity Online Standard Suite), and a platform for custom applications, called Windows Azure, which also offers online file storage and database services. In addition, Microsoft offers software to organisations building their own cloud platforms. Q: What is the salesforce.com cloud computing platform like? The core of the platform is a multi- tenanted application for customer relationship management (CRM). It has extended this with a platform for custom applications called Force.com, which uses its own unique programming language called Apex. Most recently it has added integration with social media such as Twitter and Facebook, and the ability to run enterprise applications in Java thanks to a partnership with VMware, a specialist in virtualisation. 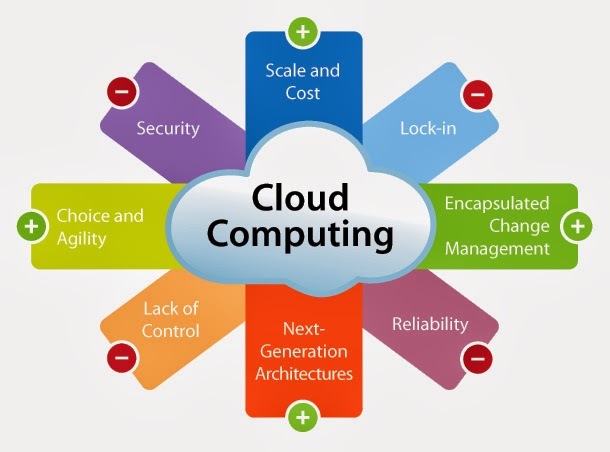 Cloud computing has real benefits, but there are also reasons for caution. Risks include loss of service if your provider has downtime or goes out of business, regulatory problems when personal data is stored internationally, security concerns when users lose control of how their data is protected, one-sided service agreements that give users little redress in the event of a calamity, and lock-in dependency on proprietary cloud applications.